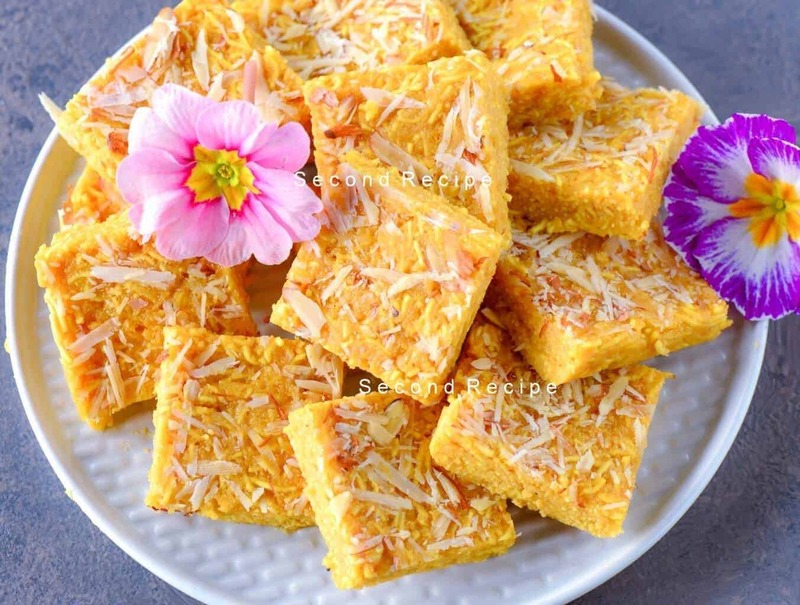 Sev ki barfi or singhar ji mithai is one of the most loved recipes.It is easy to make.It is made from the most unlikely savory ingredient Sev. Trust Sindhi community for their innovative creative culinary juices. This recipe is a family favorite,We have grown up eating this sweet. Unlike many communities where men don’t even know how to make a cup of tea, many men in Sindhi community are food connoisseurs. They are a complete foodie and love to cook.This gives their better halves some rest and also great ideas. This is my Grandpa’s recipe.Making this a wonderful trip down memory lane. 200gm thin sev (prefer unsalted). Boil milk on low flame, add cardamom powder and saffron. Allow it to reduce slowly on low flame, until 1/4 of the original quantity. Add sugar and stir until sugar dissolves,take it off from heat. In a non stick pan, add the reduced milk mixture,allow it heat up a bit. turn off the gas , add the 'sev' to the mix, mix very slowly. After 5 minutes, once the 'sev' has absorbed the moisture,spread the mix in a tray lined with baking paper. Garnish with almond, allow it to be set in the refrigerator. Note: Look for a plain thin 'sev' , not as thin as nylon 'sev' and that too unsalted. You can also use a salted 'sev'. Traditionally , this sweet is prepared with 'mava'.To make with mawa mix 150 gms of mava with 1/2 cup warm water. You can also reduce the milk at home, just like we prepare rabri. Click here to read more Sindhi recipes.